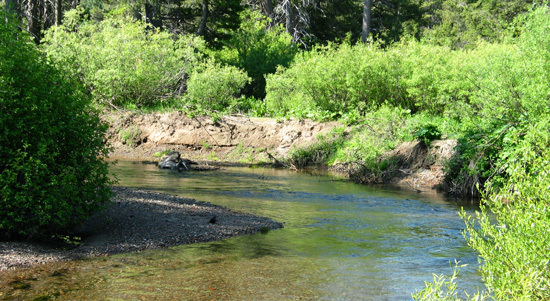 The Truckee River provides more than 85 percent of our drinking water. Truckee Meadows Water Authority (TMWA) is committed to delivering quality water to more than 330,000 residents. In the Truckee Meadows we are fortunate to have Lake Tahoe, which is fed by snow melt and rain, and the Truckee River as our main drinking water sources. With these bodies of water and our highly skilled and trained scientists, engineers and operators, we are able to deliver some of the best water quality in the country to our customers. Our system is in complete compliance with all EPA and State of Nevada drinking water standards and regulations. We pride ourselves in the quality of your water and are diligent in testing and monitoring your drinking water, performing more than 1,000 laboratory tests on it every month. More than 180 samples are gathered throughout the water system monthly and examined to ensure quality and safety. In most cases TMWA provides water that is significantly better than EPA and State of Nevada standards require. As your locally owned and operated water purveyor we encourage you to contact us regarding any aspect of your water service, your water quality or any other questions you may have. Visit us at www.tmwa.com for a complete list of departments. Overseeing and maintaining our water quality for the safety of the public is our number one priority every day. We are happy to answer your questions on our favorite topic, water. Tap water is every bit as safe as bottled water and more regulated. In fact, tap water is tested more, according to the American Water Works Association (AWWA). The cost difference between tap water and bottled water is significant. TMWA charges less than $2 per 1,000 gallons of treated water (first-tier residential rate), while a liter of bottled water, costs roughly $1. That equates to $3,780 for 1,000 gallons of bottled water. If you don’t care for the taste of tap water, try a drop of lemon juice or simply leave your water in an open pitcher before drinking. Fill up a reusable iRefill water bottle with tap water to save money, help the environment and stay hydrated.